City Council could tackle difficult issue in early 2018. NEWPORT BEACH — A discussion on passenger charter vessels planned for Dec. 12 was put off until early 2018, Newport Beach city staff decided. The discussion was placed on the City Council’s agenda at the request of a council member but wasn’t vetted out on the dais. It was Newport Beach City Council’s last meeting of 2017, meaning passenger charters won’t be on the docket again until some point in 2018. No timetable was set for when the issue would be discussed again but City Manager Dave Kiff said passenger charters could be on the agenda again soon. Council member Diane Dixon, who served as mayor from 2015 to 2016 and has pushed for harbor improvement in the past, suggested the item for discussion. Complicated issues regarding what constitutes legal and illegal uses of a passenger charter vessel has been a major source of interest and concern for boaters. 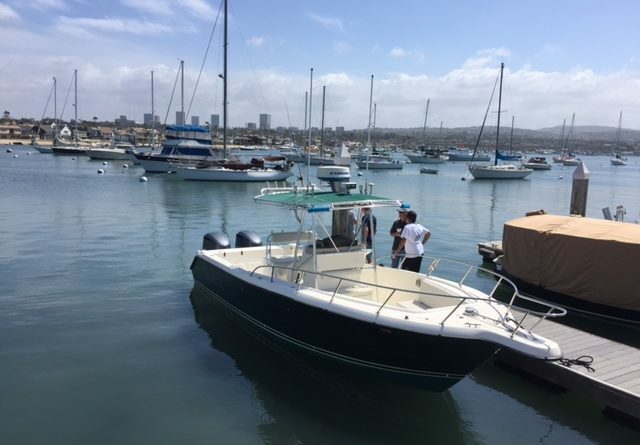 Harbor Commissions from many cities on coastal California have racked their brains to find the most streamlined way to address charter operations including, in the case of Marina del Rey Harbor, possibly designating a dock for such activities. Though a mostly agreed upon position something needs to be done to upgrade regulations regarding charter operations, it has not been easy task to deliberate on such matters. While Los Angeles County has become involved in solving this dilemma at Marina del Rey Harbor, some argue the resolutions presented sound easier than they would be to implement. The Log has reported about this controversial issue many times, addressing that if the owner of any large recreational vessel would like to rent out or host a party to more than six people for commercial purposes, the vessel must be registered as charter-for-hire. In addition to carrying valid insurance and obtaining certified inspection documentation, all charter operators must retain an up-to-date county business license as well as permits to serve food and alcoholic beverage. If the Newport Beach City Council circles back around to the topic of charter vessels in Newport Harbor next year, the question begs as to what will be posed as a solution locally and if that will lead to a larger solution for other harbor cities. L.A. County’s Small Craft Harbor Commission could also be contemplating a policy recommendation on passenger charters in early 2018.